On 5 April, the annual IDTechEx Printed Electronics Europe event in Dusseldorf, Germany will open to a range of end users discussing their needs and experiences with printed electronics – providing that vital “reality check” for those involved in the industry or for those wishing to explore their opportunities in this sector. 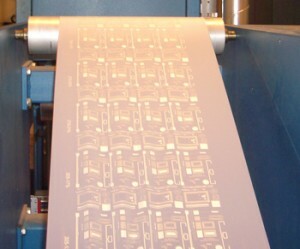 Printed electronics will have a major impact on most business activities from publishing and security printing to healthcare, automotive, military and consumer packaged goods sectors. Commercialisation can and should take place in very disparate applications, contrasting with the rather narrow view of possibilities in the past, creating a huge new opportunity for those in chemicals, equipment, electronics, packaging, converting and integration. Opening the keynote presentations will be Mars, the famous 100 year-old confectionary company. Mars, with annual sales of $30 Billion, will cover how they see printed electronics increasing their sales by making dull retail displays much more appealing – “Being seen is being sold”. Metro AG, Germany’s largest retailer at 66 Billion Euros in sales, and Europe’s second largest retailer, will discuss “Next Level Retailing” enabled by printed electronics and allied technologies. Those in consumer goods, retailing and those wishing to supply to these industries can hear first-hand the future visions of these giants. Consumer electronics company Nokia has been steadily progressing printed electronics at its research centers in Finland and in the UK. Their work ranges widely from assessing new energy harvesters to display technologies, and in this presentation they will discuss progress with stretchable electronics for mobile applications. JC Decaux, the $3 Billion large area signage company will discuss needs from printed electronics to enable digital advertising displays and the US Army will talk of their requirements. Session titles for groups of speakers include “Interactive Printed Media” and “Textiles and Wearable Electronics”. There is huge potential in printed electronics for new products and increasingly IDTechEx see packaging, security printing and design companies take the lead. Exclusive new announcements will come from De La Rue “Power into Paper – a New Paradigm” and Stora Enso – “Wireless Healthcare Solution using Printed and Conventional Electronics”, for example. IDTechEx is aware that end users new to the technology can find the technology daunting to understand due to the shear breadth and depth of innovation. That is why , new this year, IDTechEx is hosting the “End User Printed Electronics Forum”. This forum is dedicated to companies that have an interest in understanding how printed electronics can be used in their businesses. It assumes no or limited knowledge of the technology. Speakers will feature many case studies of printed electronics in action – what was done, costs and benefits to the company. It will highlight new emerging products and how, as a potential user, you should proceed in assessing printed electronics for your products. In addition, the session will feature a panel of end-users where you can ask them your questions and learn about their needs or experiences with the technology. The event is held in Dusseldorf, Germany on 5-6 April . Attendance starts from just 95 Euros. This is your annual must-attend event to gauge the sector. This entry was posted on Friday, March 25th, 2011 at 11:56 pm	and is filed under Electronic News & information. You can follow any responses to this entry through the RSS 2.0 feed.